Resharper's IntelliSense only shows its own Live Templates but not Visual Studio's code snippets. Is there a way to make Resharper IntelliSense to show all VS code snippets? 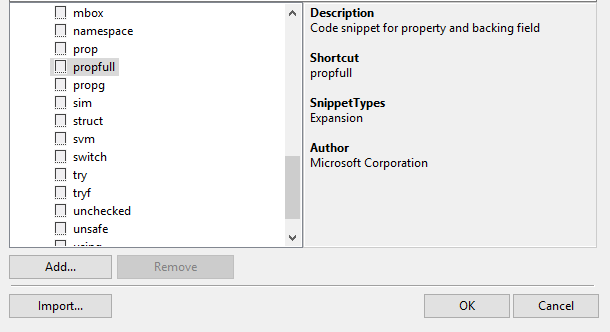 I can't find a feature in Resharper to import VS code snippets manually, one by one, or all of them together. I tried `Import...` button in Live Templates Manager in Resharper but apparently it only allows to import Live Templates(.DotSettings and .XML files, not .snippets files), but not Code Snippets files. Is it possible to import code snippets somehow? All I want is to somehow make all VS code snippets work in Resharper IntelliSense. Thanks. Please see the answer on the corresponding StackOverflow discussion - https://stackoverflow.com/questions/54971911/how-to-show-all-visual-studios-code-snippets-in-resharpers-intellisense.